You can’t get much better for a summer salad with substance than this sweet, sweet potato salad. 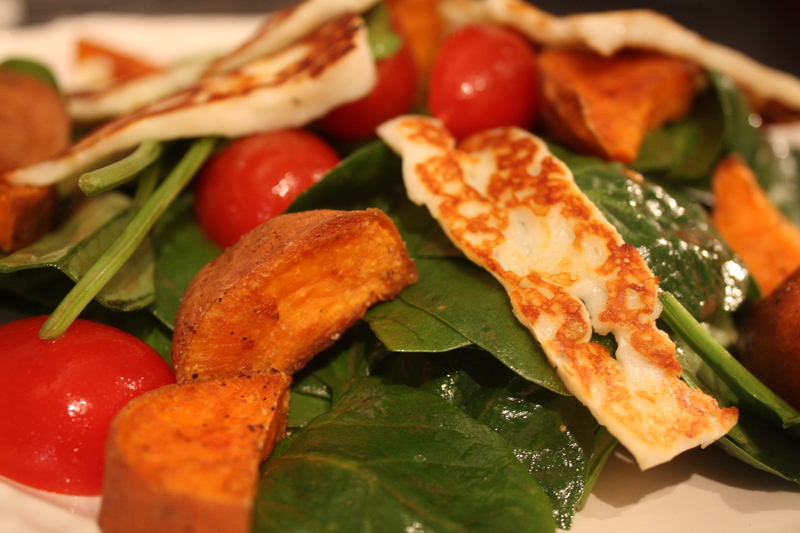 It has got more to it than just a few leaves, and the halloumi gives it some lovely light, summery flavours. Start off by cutting the sweet potatoes into chunks – no need to peel. 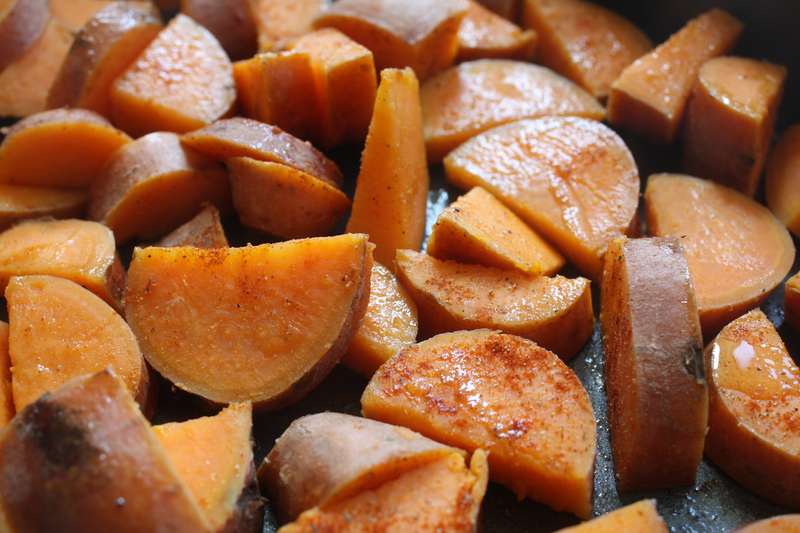 Boil for 5 minutes and then putt the sweet potato in a roasting tin with oil and a hearty dusting of paprika. Pop into a 180°c oven for half an hour. About 20 minutes into cooking, start making a dressing – 1 tablespoon of honey, one tablespoon of mustard, ground pepper and then 1:3 ratio of balsamic to olive oil. Toss the halved tomatoes and a bag of fresh spinach leaves in the dressing. 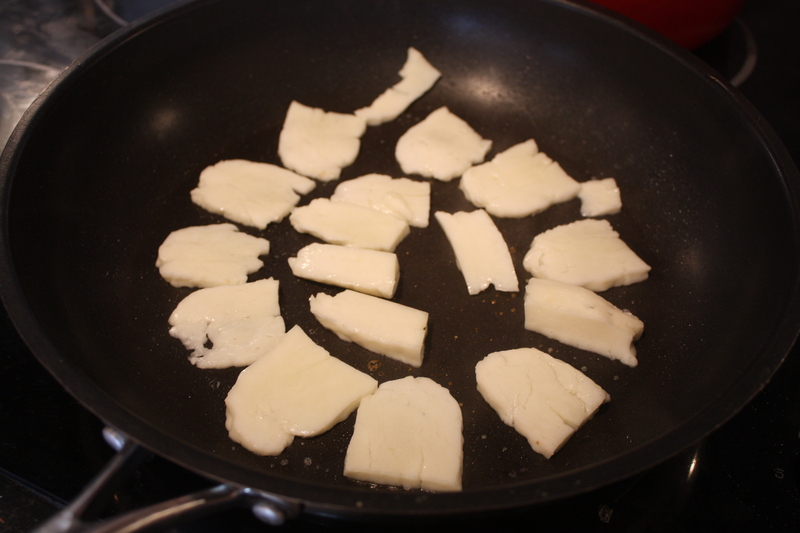 Finally, slice the halloumi and fry for about two minutes on each side. Add the cheese and sweet potato to the dressed salad, and voila – a delicious summer salad!